THE CHINESE EXCLUSION ACT has been previewed for audiences throughout the United States and in China, engaging with communities around issues of immigration, equality, racial profiling, and more. Filmmakers Ric Burns and Li-Shin Yu were joined in conversation by Jack Tchen, founding director of the Asian/Pacific/American Institute at NYU, and Kavitha Rajagopalan, a Senior Fellow at the World Policy Institute and author of Muslims of Metropolis: The Stories of Three Immigrant Families in the West. Filmmaker Li-Shin Yu participated in a screening and discussion on the history of American civil liberties, immigration, labor and culture with Middle Tennessee State University history professor Dr. Yuan-Ling Chao and moderator Renata Soto, co-founder and director of Conexion Americas. Filmmakers Li-Shin Yu and Ric Burns participated in a panel discussion at the DeLuca Forum at University of Wisconsin-Madison on why the film matters today and how the 1882 law impacted our understanding of what it means to be an American. Joining them were UW faculty Victor Jew of Asian American Studies, Law Professor Asifa Quraishi-Landes and author/journalist Helen Zia. 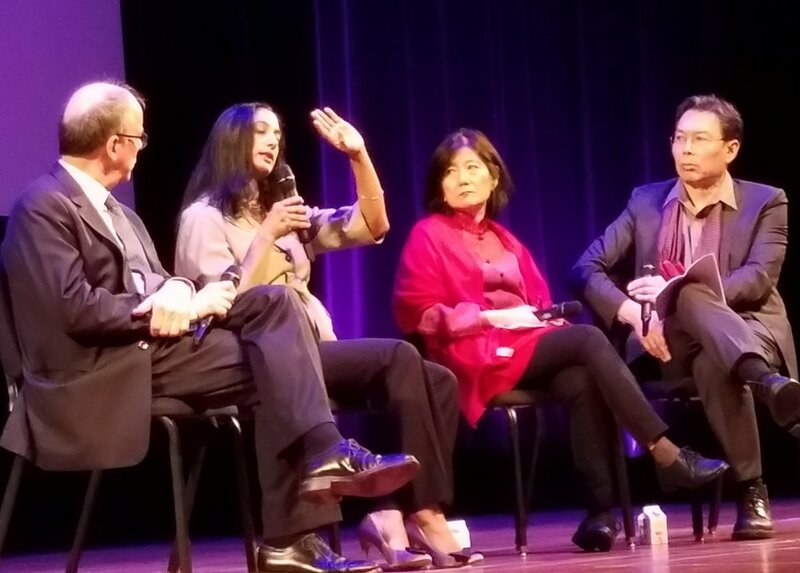 Fareed Ben-Youssef, Teaching Fellow and Film and Media Scholar at NYU Shanghai, interviews acclaimed film directors Ric Burns, Li-Shin Yu, and historian Renqiu Yu about their upcoming documentary 'The Chinese Exclusion Act', which had its China premiere screening at NYU Shanghai.